Unless you’re one of the lucky ones whose baby has always been a great sleeper, you probably spend a great deal of time trying to establish and maintain consistent sleep routines for your little one. We certainly don’t know the magical equation to achieving the Holy Grail of parenting — a full night’s sleep — but here are some tips on making baby’s sleep environment healthy and conducive to getting lots of shut-eye. Since babies sleep 10-14 hours a day, opt for one of these safe, nontoxic organic crib mattresses. If you’re still in the market for a crib, here are 7 of our favorite, eco-friendly cribs. There are so many great choices of green crib bedding now, and we especially love these soft and breathable organic cotton muslin crib sheets from Aden & Anais. Top the crib sheet with this smart crib sheet topper, so in the event of a diaper leak, baby’s sheet will be spared, and you’ll save yourself the struggle of changing the bedding during the night. You may love the look of a crib bumper, but you should heed the safe sleep guidelines that they are dangerous and should be avoided. SkipHop has a savvy and stylish solution in their new Complete Sheet, a must-see which combines a crib sheet and a bumper. Now that the crib bedding is all set, a quintessential must-have for every parent of a newborn are Aden & Anais’ swaddles, which will live on long past the swaddling phase as lightweight blankets. 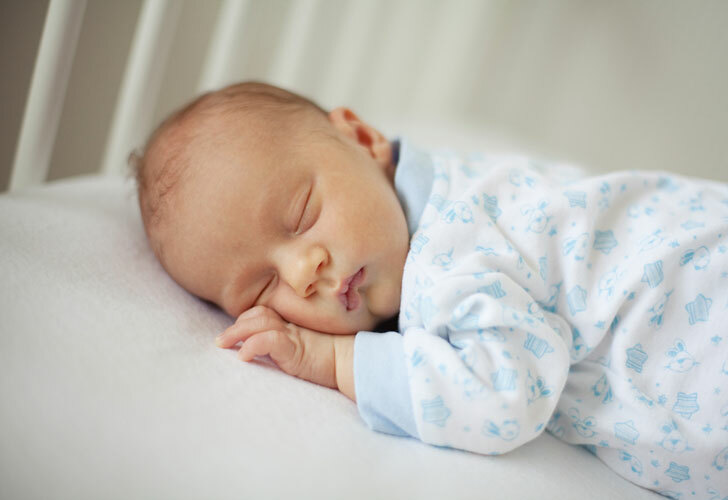 If you’re not a fan of swaddling, opt for this wonderful merino wool sleep sack, to keep little ones safe and cozy and their temperature regulated during slumber. Don’t forget the nightlight, to help you navigate nursing sessions and to soothe baby during night wakings. We love Boon’s Glo LED nightlight which is comprised of portable glowing balls. Finally, sometimes no matter what you try, baby just won’t sleep. Here are some tips on bedtime rituals and routines designed to help kids sleep easily. Here’s to several consecutive hours of slumber!